Jules Meyer (Frederick Schiller), a passenger on an aeroplane, is handed a seemingly innocuous telegram and panics, demanding to see the captain, saying it's a matter of life or death. 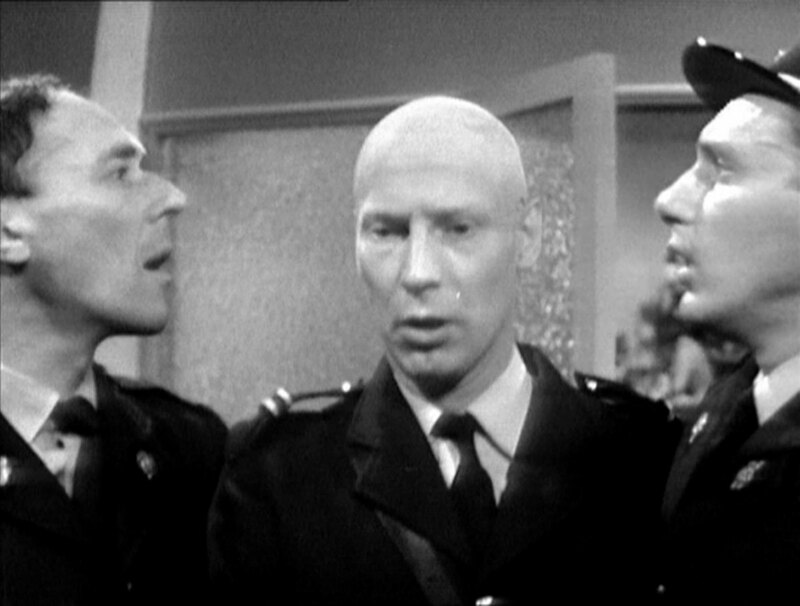 He pushes past Jeanette (Justine Lord), the stewardess, and the co-pilot, Robert (Michael Beint), and tells Captain Legros (Nicholas Courtney) someone is going to kill him. The other passenger, Manning (Geoffrey Palmer) interrupts Jeanette making the coffee and flirts with her, asking if there's anything he can do to help. Legros tells Meyer he has to return to his seat but after the man suffers chest pains he's allowed to stay. Jeanette enters the cabin and hands Meyer the hip flask he'd dropped in the passage. Cathy is waiting in her car for Steed who shows up and ignores Cathy's annoyance at being summoned while on holidays. He tells her he's meeting Meyer and will take his package to London, despite not knowing what's in it. Cathy meanwhile will whisk Meyer away to safety, as he's being pursued. At the airport, Lt. Leclerc (John Croker) arrives and reprimands Jacques Tissot (Trader Faulkner), a tout for a shabby hotel, for lounging around the airport. The barmaid, Laure (Catherine Woodville), who has a soft spot for the tout, joins Tissot in making fun of Leclerc. He enters the office where Pierre (Barry Wilsher) and Roland (Roland Nossek) are playing chess. Pierre greets him, and makes fun of his thinning hair, calling him 'Curly'. Leclerc stiffly tells them the incoming flight from Tripoli has reported trouble aboard with a passenger and he's to get two men to the runway and they depart together. 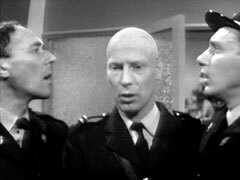 Leclerc interviews Steed, asking him why he turned up if he cabled he'd be unable to and checks his passport. Steed asks after Meyer's luggage, learning he only had a briefcase. 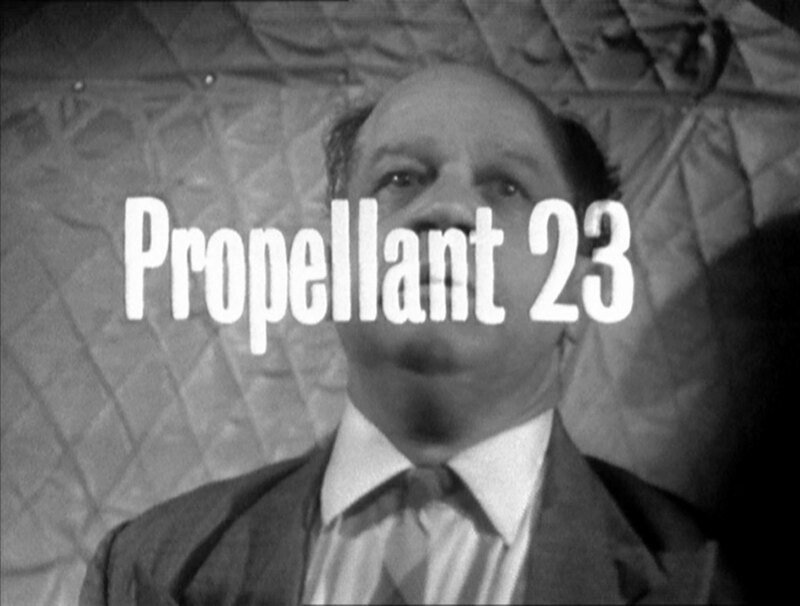 Roland returns from customs with the case but won't give it to Steed, saying he's the second Englishman in ten minutes to offer to take Charge of it for Meyer's family. Leclerc closes up the airport for the night, hurrying Siebel on his way and reprimanding Jacques for lying on the bench where Meyer died. Jacques finds the flask and leaves hurriedly, delighted with his discovery. Steed returns to Cathy's car, telling her Meyer was poisoned. He tells her about the suspicious German and plans to return for the briefcase, mentioning what Roland said about another Englishman. Cathy quips, "How did the French get left out?" Steed meets Cathy the next day in a lingerie shop. She tells him she searched the suitcase thoroughly but found nothing. Steed has a stiff neck and a plaster on his forehead from the fight last night, he examines some lingerie; "Black is so obvious", comments Cathy; and says he'd left Siebel pinned under a filing cabinet and hadn't stopped to check if he was dead before leaving. The shopkeeper calls Steed to the 'phone - "Do you always arrange to take your calls in a lingerie department?" Cathy asks. "If humanly possible," Steed grins. He talks to 'head office' about export trouble with the consignment he was to deliver. He's told the consignment is a 'specimen tin of fruit juice' from Shanghai, and he relates how there are a couple of 'competitors'. He explains to Cathy that this means the fuel of a new Chinese rocket. 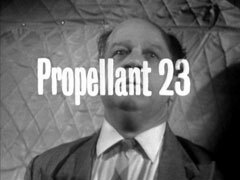 Cathy knows all about it, and tells him the fuel is designated 'Propellant 23'; if it's a liquid they'll be looking for containers and the airport is the place to start looking. Steed can't go back there after last night, so he tells Cathy, "this is your big break". Paul is kissing Jeanette on the plane but she asks him to leave, saying she'll get in trouble if he's found there. He pretends to look for his lighter but searches Meyer's seat instead. Jeanette laments Meyer and says he must have taken the poison in his coffee - which Paul had helped her prepare and carry. Paul jokes that he could have poisoned the coffee but Jeanette says an easier way would have been Meyer's flask. Paul is very interested and asks who might know what happened to it and learns of Tissot. Cathy arrives at the airport lounge shortly after Pierre and buys coffee and cigarettes - carefully choosing the same brand as Pierre. Laure quizzes Pierre about the robbery last night from customs and learns there was quite a fight, and one was badly hurt. Pierre tells her the police are looking for an Englishman called Steed, who was very interested in Meyer's briefcase; he tells Cathy the briefcase contained nothing of value - he'd listed the contents himself. Roland calls Pierre into the office and Cathy slips her packet of cigarettes into his pocket while he's paying Laure. Jeanette meets Laure and learns she's worried about Jacques, with whom she's fallen in love. Laure asks her to visit him to see if he's alright, the hotel won't take calls for him so she can't contact him. A moment later, Cathy arrives and asks Laure if she'd found a bottle around her counter and she's is concerned - Jacques wouldn't be able to resist it. Cathy asks for his address and is alarmed to learn she's the second to ask for it - the first was an Englishman! She rings Steed, telling him to go to the Hotel Excelsior, quickly - if Tissot drinks it, it'll tear his insides out. Pierre catches her in the lounge after she hangs up and confesses he gave Meyer's bottle of 'hair restorer' to Leclerc as he's balding. Cathy goes to Leclerc's address, finding the now empty bottle. 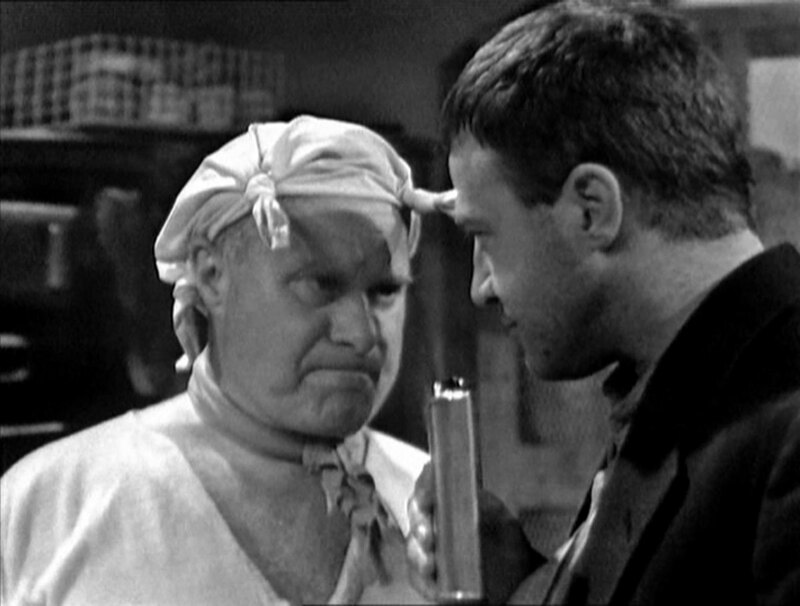 Siebel arrives and masquerades as Leclerc, demanding to know why she's there, then tries to kill her with his scalpel. She's onto him, however, with his thick shock of hair, and pulls her gun after deflecting his blade with her handbag. He tries to escape and she knocks him out. Manning makes contact with Siebel at the airport and says he's arranged a reception for Steed at Tissot's. Even with the bottle empty and Cathy involved, there's still the flask to find. 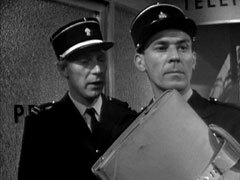 Steed is searching Tissot's when two gendarmes (Graham Ashley and an extra) arrive, tipped off by Manning; he escapes when they're distracted by Jeanette's body being found under the bed. Next day, Roland stops to ask Laure how Tissot is recovering. Pierre arrives a moment later, pursued by an angry Curly, who reveals the effect of the so-called hair restorer - "Not a hair left, and I was doing so well". Steed is lining up to board his plane when Cathy arrives, saying he forgot his package - he panics, thinking she means the 'fruit juice', but she hands him a box of pastries from Martin's bakery.